Structural engineering is a field of civil engineering that deals with the analysis and design of structures that would safely bear or resist the loads, stresses and other forces. Structural engineers must ensure their designs satisfy given design criteria (as per the guideline or code specified), predicated on safety (e.g. structures must not collapse without due warning) or serviceability and performance (e.g. building must not sway causing discomfort to the occupants). Buildings are made to endure massive loads as well as changing climate and natural disasters. Structural Engineers have a duty to their clients and the public to provide safe designs. Typically, the Structural Engineer is responsible for the structural design of the overall project, including specification of the design loads, issuance of design documents, and review of submittals. Structural engineers are responsible for making creative and efficient use of funds, structural elements and materials to achieve these goals. Structural engineers are licensed or accredited by different learned societies and regulatory bodies around the world (for example, the Institution of Structural Engineers in the UK). Depending on the degree course they have studied and/or the jurisdiction they are seeking licensure in, they may be accredited (or licensed) as just structural engineers, or as civil engineers, or as both civil and structural engineers. The structural Engineer is responsible for designing the structure of buildings and houses in a way such that, it can meet all the requirements of the client within the needed time span. He is also responsible for checking and examining of whether the structures and buildings are structurally well or not. He must calculate and estimate the pressure, weather and stress that the component of a house or building may face from different disasters such as earth quakes flood etc. 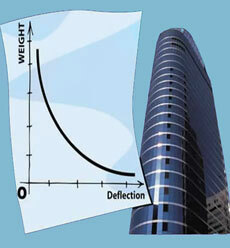 He is responsible for analyzing the basic structures and several components of buildings and houses. He must be responsible enough to check out the quality of the numerous materials such as brick, steel, timber etc. that are used for the construction of buildings. 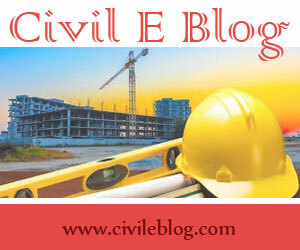 His responsibility is to use computer and advanced technologies for constructing the best structure. Iron: Wrought iron, cast iron, steel and stainless steel. Other structural materials: Carbon fibre, Fibre reinforced plastic, Roofing materials, Mudbrick, etc. In USA, the average entry level salary (0-2 yrs experience) for Structural engineer is $53,100. The employee may require the necessary bachelor's degree in area of specialty. Main job is to design load-bearing structures or structural elements, such as buildings, bridges, or roadways perform analysis of building materials for use in construction develop blueprints or specifications for use during construction and ensure all projects comply with applicable codes and regulations. They also determines cause of structural failures, damages, and defects through site investigations and provides reports detailing investigations and assessment of damages to the structure. With 2-4yrs of experience in this field, the expected average salary is $68,300. He/She may relies on limited experience and judgment to plan and accomplish goals and work under general supervision. A certain degree of creativity and latitude is required. The employee has to be familiar with a variety of the field's concepts, practices, and procedures. For experience of 4-6yrs, the average salary is $88,100. The employee may have to lead and direct the work of others. A wide degree of creativity and latitude is expected. For eperience of 6-8yrs, the average salary is $104,300.